Sometimes you spill various drinks and food products on your carpet and tend to freak out because you don’t know how you can solve that. The spill can be too much to control to the extent that it immediately stains your carpet. Many homeowners have this problem and it is not a surprise to visit your friend’s house and find stains all-over his mat. There are some conventional and natural methods that you can use to remove stains, depending on what has caused a stain on your carpet. It is essential to understand that you need to test your cleaning detergent in a specific area of your carpet to determine whether it yields the results that you want. Depending on the solution that has caused a stain on your carpet, you need to make sure that you remove much of it with a clear liquid like water and another absorbent material before it spreads stains in other parts of your carpet. 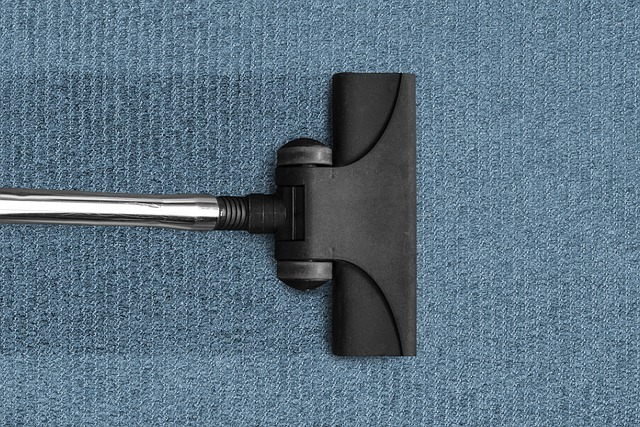 Carpestology.com.au, who are experts in carpet cleaning, caution individuals against scrubbing their carpets in an attempt to remove stains as this will not only spread the stains deep into other areas of the carpet, but it will also destroy your carpet fibers. 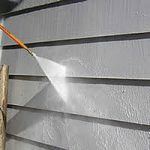 Here are some seven stain removal techniques that significantly depend on the cause of the stain. For a longer period, red wine has remained to be one of the leading cause of stain in most of the carpets. In as much as we enjoy drinking wine, we should be cautious of spilling it as this could spell the end of our beautiful carpet. The stain caused by red wine turns purple within a short period and can be difficult to remove if allowed to stay for a longer period. The best method of removing this stain is by pouring white wine on it and then using a dampened cloth to lift the wine. You can also remove it by covering it with table salt after which you will use a vacuum cleaner. Ink is another liquid product that has been causing problems to carpet owners. A slight drop of ink could spell the end to your carpet. It is common knowledge that ink spreads within a short period, especially in an absorbent material such as a carpet. The best strategy to remove it should be to dab it using a soaked piece of cloth that is soaked with warm water. Most of the detergents, especially the ones with a higher concentration of bleaching agents are very useful in removing ink stains. Any alcoholic drink such as spirits could help in removing ink stains within ten minutes. The best thing about greases and oils is that any absorbing material does not easily absorb them unless they are mixed with alcohol. They will stick at one point due to their high viscosity. The problem is that they will cause a strong stain that is difficult to remove as they have concentrated on a particular point. Stains caused by both oil and grease can easily be removed using baking soda, cornstarch, and salt. These chemicals will react with the stain after which you can use a vacuum cleaner to eradicate the stains. You’ve witnessed fruit juice stains in most homes because there is high consumption of the juice. However, the soft drink is made using other extra chemical materials such as flavors and food colors that are likely to cause massive and unresolvable stains, especially when they are not acted upon within the shortest time possible. The idea lies behind removing the stain within a short period before it can form a permanent mark. One of the best methods of eliminating fruit stain is using shaving cream and later wiping it out with a wet sponge. However, stains that result from homemade juices can easily be removed with sufficient water and constant wiping using a damp cloth. You cannot stay without your pet because it will urinate on your carpet and cause unresolvable stains. You need to get the best method of removing the stains once they appear. The problem is that you may not see urine stains, but you can smell them. The best method of detecting them is using ultraviolet light, which will help you to see them in the dirk. Some of the commonly used urine stain removers include biological washing detergents or an enzyme cleaner from a pet store. Coffee and tea stains are very common in most of the carpets. This is because these two drinks are commonly used in most homes and on a large scale. They cause strong and long lasting stains due to the presence of caffeine and nicotine. The stain can be worse if the coffee or tea in use has been further processed by the addition of chemicals and other preservatives. The best strategy to remove these stains is by washing them out with a mixture of vinegar and warm water. Further removal can also be achieved by use of a detergent or an absorbent material. It’s hard to mention all the stains that you might be facing in your home without mentioning mud stains. These are stains that have been caused by wet soil from outside. They do not form permanent stains and can easily be removed through hand-washing. However, mud stains tend to form a permanent mark if they are not removed effectively. The best strategy that will remove them on a permanent basis is by the use of a vacuum cleaner and a machine that has a beater brush. Stains have for a longer period caused painful experiences to the homeowners. This is complicated by the fact that most of the stains cannot be easily removed using a simple hand wash or by the use of home detergents. However, carpet stains can be removed using homemade and straightforward methods as discussed above. Each method should be consistent with what caused the stain. There are other inorganic products that you can use to remove carpet stains.